The Blackwater Fever return with a mighty fourth album, ‘Delusions’. 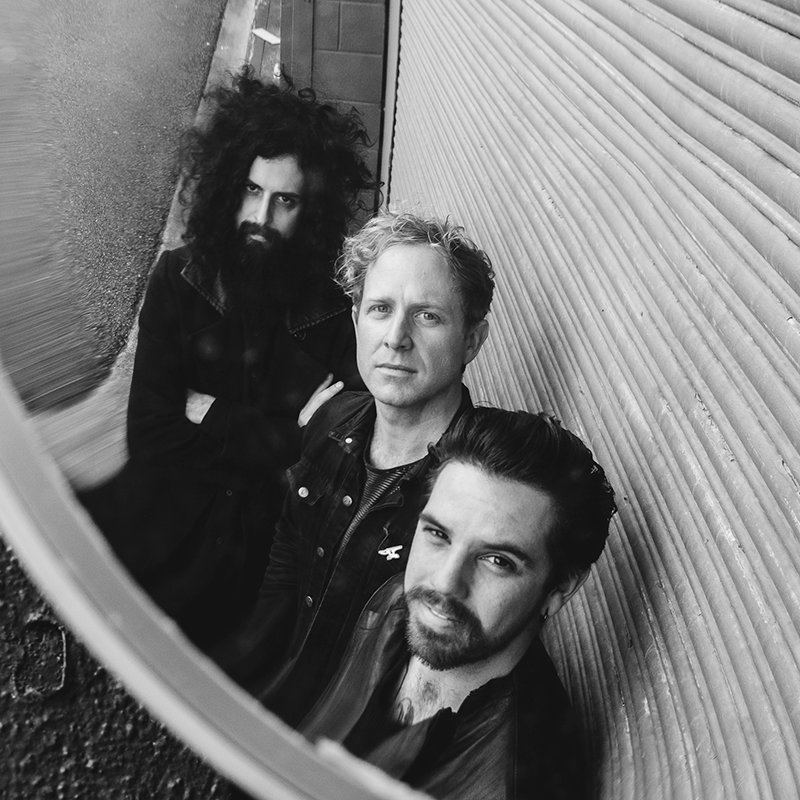 Taking their dark, distinctive sound and injecting it with ’90s grunge, ’50s slow dance, moments of prog rock, punk, soul and an ’80s New Order-inspired track, ‘Delusions’ sees the Brisbane trio sounding more adventurous, eclectic and surprisingly succinct than ever before. With 5 million plus Spotify streams, shows with The Black Keys and Tame Impala, plus their recent inclusion on Showtime TV series ‘Shameless’, The Blackwater Fever are riding a wave of momentum that’s only going to build off the back of ‘Delusions’. 7 million+ streams on Spotify. Added to almost 100,000 playlists. Averaging 8,000 streams a day. Opened for The Black Keys, Clutch, Truckfighters, Tame Impala, Violent Soho, Heavy Trash, Birds of Tokyo. Festivals played: The Big Day Out, Blues Fest, Peats Ridge, Festival of the Sun, Valley Fiesta. Music featured on HBO, Fox, ABC, UFC, Discovery Channel networks. Included on the soundtrack for Benetton and Quiksilver campaigns, and feature films The ‘Tunnel’, ‘The Crossing’ and most recently Showtime series ‘Shameless’.